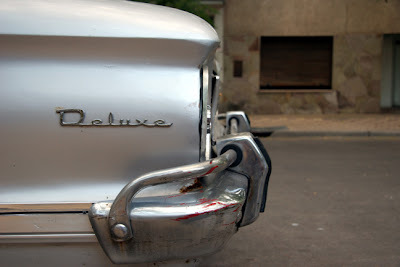 This week marks the beginning of two new talleres of digital photography for us. One class includes four girls from the Aldea Maria Reina, which is my taller, and the other one, with six girls under the charge of fellow volunteer Lindy Drew, is at an hogar further south in Santiago. While we have our own lesson plans, Lindy's group and my group meet regularly to discuss talleres and fieldtrips that we could do together. In addition to exploring photography, we want to give the girls an opportunity to get out of their hogares, see the city (and hopefully outside the city too), and spend time with other girls. I thought that having taught one taller would have prepared me more for the second one. Even though my spanish is much better, and I feel more comfortable in front of the group, this taller has a much more developed syllabus. This time I am teaching in the Aldea Maria Reina, an institution that usually houses more than 70 girls and young women within its high brick walls, but during the summer has about less than half of this amount. Four young women will attend our "classes" which will meet twice each week. 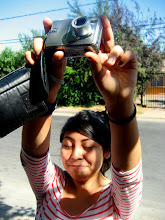 Besides learning how to work digital cameras, we will create stimulating visual stories, we will go on fieldtrips to see photography exhibits around the city, and we will go to the Puente Alto library to explore photography on the internet and learn how to use Photoshop. The Aldea has a different feel than San Francisco. 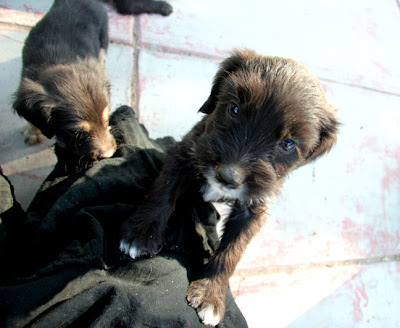 The girls seem a little tougher, a little more skeptical, a little less eager to blindly run up to you and hug you. Clearly this is a generalization, but each time I've been there I've noticed it. The management cares deeply for the girls, I can see that. Maybe it's the location-- on the city's southwest side instead of in the bustling center. Maybe it's the lack of resources and the effects of this on the girls. I know that if they had the funds there would be no broken windows, and the 60 year-old showers would be replaced with new ones that didn't have scalding pipes sticking out. Or maybe it's just that there is a high concentration of young women with a lot on their minds, a lot in their past, and a lot of questions about their future. OJOS nuevos at the Aldea is sure to bring all of us our own set of challenges and rewards. It's summer now, and whether I've learned the conversion from farenheit to celsius yet or not it doesn't really matter because I know it's hot. Hot enough to fry an egg on your head? Maybe. 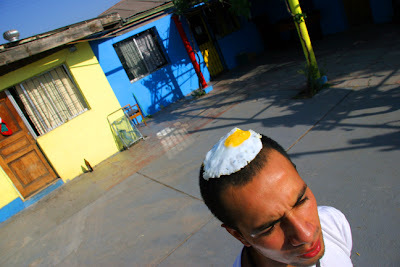 Or maybe just hot enough to put a fried egg on your head. It's a different kind of heat than in Chicago, where you lie in your little bedroom at night nearly drowning in your sweat with a fan in the window that's really doing nothing because the houses are too close together to stir any kind of air circulation. I lived in a 3-bedroom flat once on the second floor with two friends, you know the kind, with the bedrooms in a row along one side of the apartment, the front room, the dining room, bathroom and kitchen in a row along the other side. During the worst heat we would all pile into the middle bedroom, the one with a bay window, and try and make a wind tunnel with two box fans, forcing the stagnant, heavy air, sopping with humidity, to move through my friend's room. I remember when she borrowed another friend's window air-conditioning unit. We had sleepovers every night. But here in Santiago the heat is drier and it's directly related to the presence of the sun. During the afternoon, specifically between the hours of 2pm and 5pm, you don't want to do anything except hide in the shade somewhere and eat ice cream. I can't say that I've been eating a lot of ice cream (mostly due to budget constraints) but it's surely what I'd like to be doing. These Chileans, they love their ice cream. Before, I thought I understood but I never really understood why certain countries have a history of closing down for ciesta during the afternoon and pushing all their meals around-- but now I completely get it. You can't breathe in the afternoon sun let alone think about eating. I just ate dinner at 10pm and finally I can sit down in the computer room and do some work-- and it's after 11. Without the sun, the temperature drops to I'm not sure what but something much more agreeable. And while I still wake up in a sweat, at least I can go to sleep at night. I've moved out of Hogar San Francisco for the summer as the girls have traveled to the sister hogar outside of Santiago. I will be working instead at Aldea Maria Reina for a couple of months directing another photography taller with some girls there. When I'm not at the Aldea I will be working here in Domingo Savio, where I am living, on some videos for VE to use to explain who we are to potential donors and volunteers. I'm not sure what will happen in March yet when the girls return and Club begins again the this community center Domingo Savio. A lot can happen in a month and a half, a lot more than what used to seem to happen in a month and a half back in Chicago. I like that. I like the fact that I don't always know what's going to happen each day, that I have the time to enjoy what I'm doing, that there is stimulation and challenges in nearly every activity in the day even if I'm just asking where the dustpan is, for example, because if I'm asking where the dustpan is I'm asking in spanish, and I might not know that word yet. Except I do know the word for dustpan, pala, because I have to know the word for dustpan as we use the dustpan all the time. Domingo Savio is an interesting place to live. In the comuna of La Granja, it's very different from living in the city center at San Francisco. You are likely to hear all your reggaeton favorites (hello, Daddy Yankee) blasting as if it were coming from your radio at any hour of the day (and night)-- listen here. I can walk directly across the street and buy fruits and vegetables at one house, including perfectly ripe avocados, and I can walk to the corner house where there's a little store selling milk, eggs, butter, and "Sprim", a lovely powdered kool-aid type product affectionately called juice. Around the corner the other way is a panadería where I like to buy bread, cheese, and yogurt. Nobody has screens here on the barred windows which are always kept open as well as the doors. 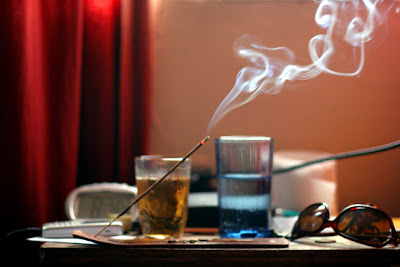 You end up feeling like you are outside even when you are inside, a sentiment which seems to be mutual for the various bugs and currents of dust that seem to feel very welcome in our house. I mind the bugs, but I don't see them as much as I see the dust. You sweep, you mop, you may even polish with the crazy polishing machine that breaks your back as you bend over to use it, but still, inevitably, the dust returns. It doesn't give up. I'm beginning to think it will always win. Even though we try, we try. We have two dogs that live with us but really one can escape through the bars when she's not pregnant, which is a problem because then she becomes pregnant, which is why we have been caring for her latest batch of 8 perritos. I wish I could say they are cute. They are cute, but really they are quite ugly. Probably because they are a product of (I'm so sorry to say) the one dog in the world I don't like, Nasha, the mother who can fit through Domingo Savio's, and some random street dog that hangs out in La Granja. I can't say that street dogs are really dogs either; there are some of them that break my heart, but others are so disgusting I'd like to disinfect everything I own only after just looking at them. Nasha, when not getting pregnant outside of Domingo Savio, hangs out with Jackie, our other dog who is primarily black and a lot cooler and larger then Nasha. They still are outside dogs, however, and not exactly the kind with which to cuddle. One day past volunteer Max took 44 ticks off of Nasha-- I don't remember how many were on Jackie. Jackie likes to sit on people chairs and to listen to our conversations through the window. This is not an easy task for two reasons: one, she is a big dog as must contort her body in a strange way to balance on the chair and two, I don't think she can understand our conversations. But she likes to try anyways, and she does it all the time. I don't blame her, really, with a playmate like Nasha... nobody likes to feel alone all the time. 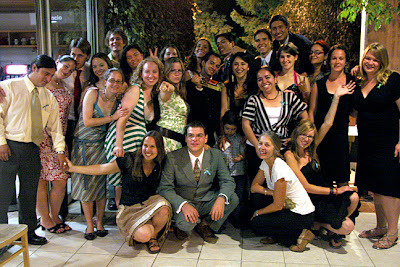 December 5, 2006, Voluntarios de le Esperanza formally announced our presence to Chile at Cafe Literario in downtown Santiago. We invited local NGOs, potential partners, and interested individuals to a presentation including our new video, 2 testimonials by past volunteers Jonah and Lindsay, and a discussion panel focusing on volunteerism in Chile and South America. As each guest entered the event a volunteer tied a simple green and blue bracelet around their wrist, and as each guest left they took out of a jar a piece of paper with a wish written by our kids. Lindy and I displayed some of our photography, and the evening closed with wine and appetizers. After many long days and a lot of hard work, we all entered the cocktail hour feeling a huge sense of relief. Here are some photographs of current volunteers with kids, and below you can see our new logo. When I was little I invented many scenarios in my head for my future. For example, because I had been a picky eater, and would only eat out if included on the kid's menu was pasta with red sauce (preferably without meat), my family joked that maybe I should go to Italy because I would be able to eat all the time. Denny's pasta is not quite the same as Italy's. But at the age of five I developed this dream of going to Italy and eating pasta for every meal. Is that why I studied in Italy fifteen years later? Because of chain restaurant kid's menus? Regardless, another of my dreams when I was little was to dance tango in Buenos Aires. I don't know how many kids like sad accordion music, but I did. I wanted the black heels, the slicked hair, the tragic eyebrows, all of it. And I still hope to go to Buenos Aires at some point during my time in South America, but my first trip to Argentina proved a little less dramatic: a group of us traveled in bus to Mendoza to renew our visas. Two night buses, two days in the city. Here is our trip in pictures. The first exhibition of OJOS nuevos has completed its run in the Universidad ARCIS. On display from December 11 to December 21, the exhibition included a portrait of each girl and 8 of the photographs that she took throughout the course of the class. You can see all of the photos from the exhibition in this photo set. If you would like to have a show featuring these photographs, please contact me to arrange it. Located in downtown Santiago de Chile, UARCIS offers degrees in art and social sciences. Neither Hogar San Francisco de Regis nor VEGlobal had a previous connection with UARCIS. But, as one of our responsibilities at the hogar is to walk some of the girls back to school after lunch, and UARCIS is around the corner from the hogar, I quickly took note of the university's entrance and soon found the name and web address printed on some posters there. After emailing the university one time with a proposal to host our exhibition, they immediately invited me to a meeting. The university blew me away with their support. From the presentation of the girl's work in the auditorium, to the posters and invitations they printed, to the continued relationship with my organization and with San Francisco, I am really happy that we have built this connection. You can see photos taken at the exhibition and of the university here. 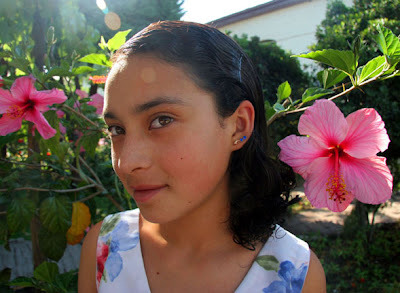 We are very happy to have received enough donations to produce this first OJOS nuevos digital photography class, but we still have a long way to go. To bring this kind of opportunity to more children, we need your continued support. Please contact me if you would like to partner with us in support of this program, and you can also always contribute online at this site. Thank you!